When scheduling a case at ARM, ask about our courtroom and the many hybrid ADR processes that can be tailored to meet your needs. 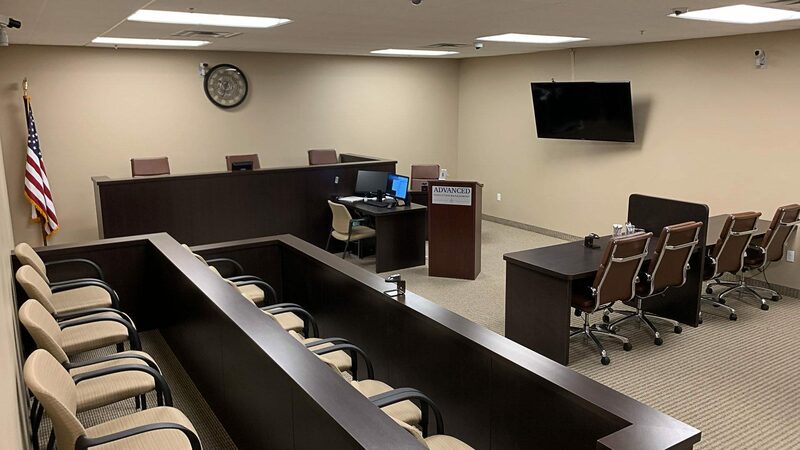 The ARM Courtroom is the focal point of our 12,000 square foot facility in Las Vegas. It is the ideal setting for a number of our integrated conflict alternatives. Would you like to be a Mock Juror? Have you ever served on a jury or wanted to? Are you a permanent resident in Las Vegas with a flexible schedule? Decide real cases, with real attorneys and fascinating fact patterns in an incredible state of the art courtroom!